My first few weeks of my junior year of college have been anything but calming. I've stayed busy, barely have time to eat lunch most days, and unfortunately...I've been writing so much that blogging and journaling just haven't come very easy. 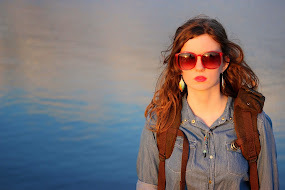 I'll be lucky to blog once every semester. I thought I'd share the cool highlights of the past three weeks. 1. 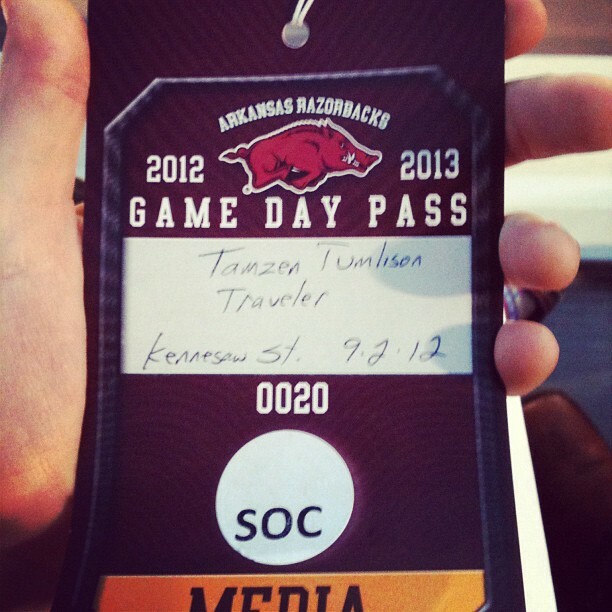 Started my job with The Arkansas Traveler. I've been writing and copy editing for the sports section. 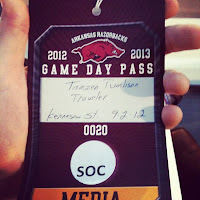 This means I attend games, interview people, and the like. It definitely keeps me busy. But I love it. If you haven't checked the paper out, here's its website: uatrav.com. 2. 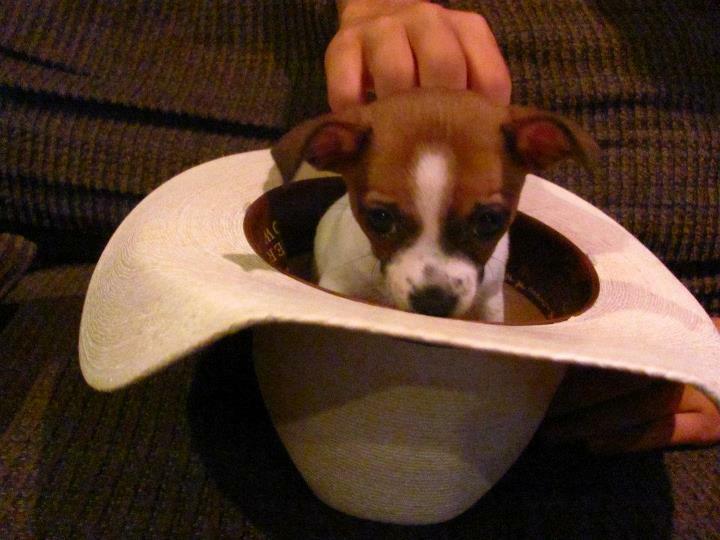 My puppy is adorable. We took her to be with my parents this weekend, since I can't keep a dog where I am living. Besides, I couldn't give her the attention she needs while I am in college. In a few years, though, hopefully I can have her with me again! The trip down to and back from home was fun, with four people and four dogs in tow. Lots of fur on my clothes. Oh, and doggy vomit. 3. 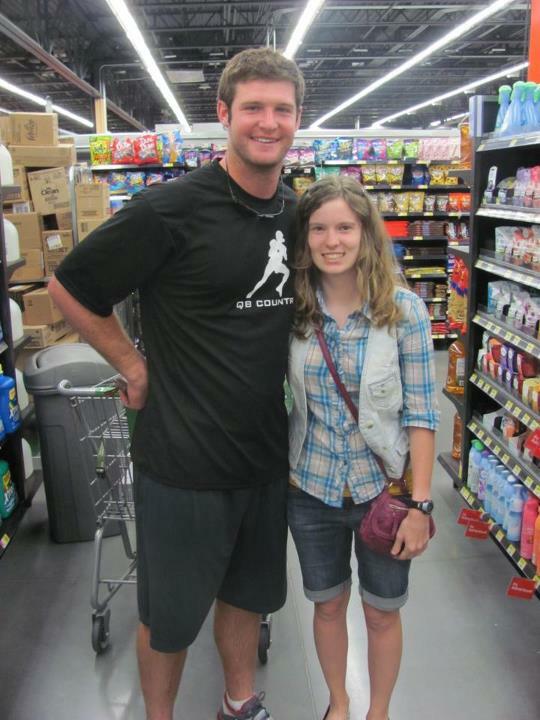 I ran into Tyler Wilson, the quarterback for the Razorbacks, at Walmart the other day. 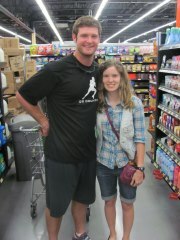 My boyfriend knows how much I want pictures with all of my favorite athletes, so he was bold enough to ask for one. That was exciting. 4. 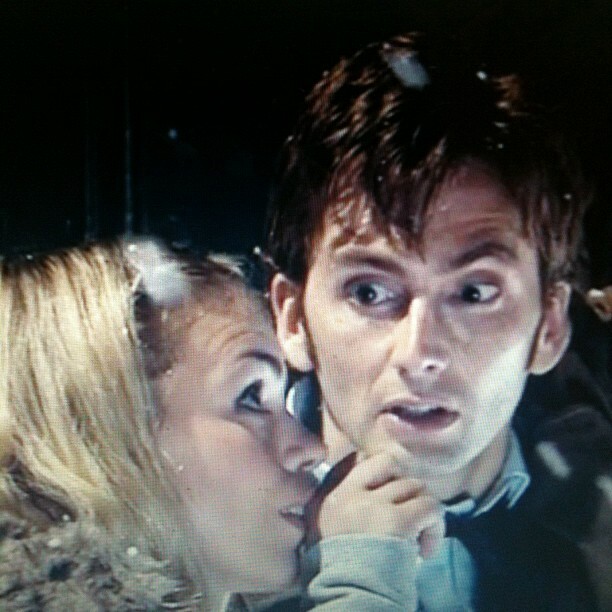 I've grown quite fond of Doctor Who. Didn't think I would, even though I know I like sci-fi. (Not the channel, the genre.) I am fairly partial to the ninth doctor (Chris Eccleston) but the tenth doctor (David Tennant) is catching up. I've resolved to not give ninth doctor up. 5. 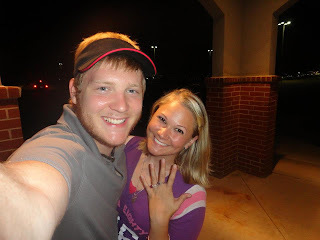 Finally, and probably most importantly....one of my dearest friends, Cori, got engaged this past week. I've never met her fiance (crazy, right?) but I've only heard wonderful things about him. So I'm very excited for their future together, and interested to see their wedding! Lord willing, they will have a long and happy life together. There is my month in a really small nutshell. Enjoy!